If you’re shopping online at Amazon this holiday season, you can support Truth For Life at the same time! Simply access Amazon’s full online store by entering it through AmazonSmile, then designate Truth For Life as your preferred nonprofit partner. 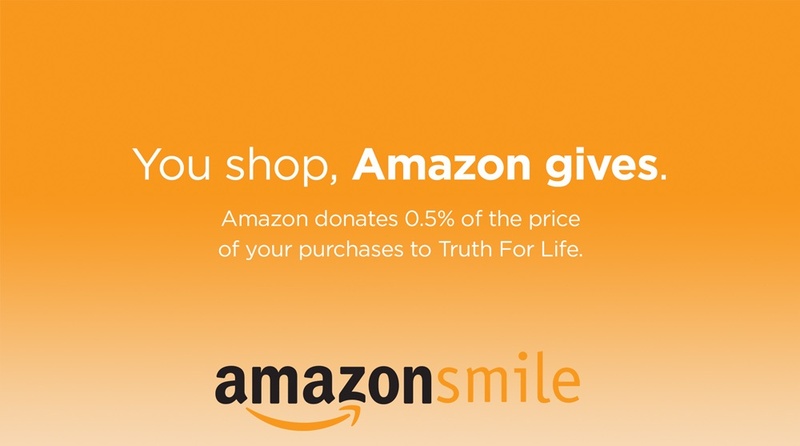 As a result, Amazon will donate a percentage of your total purchase price directly to Truth For Life—not only today, but every time you shop using AmazonSmile! It’s a wonderful way to invest in the Gospel this holiday season. Go online to AmazonSmile.com.